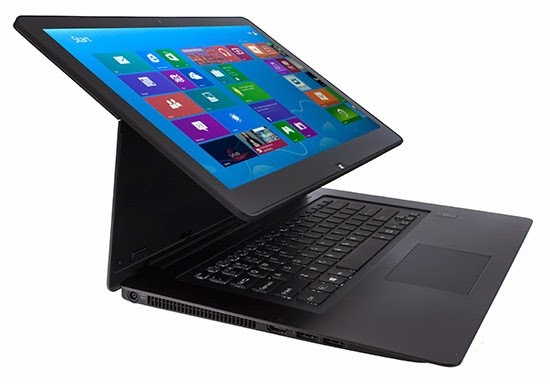 The display of the laptop can be flipped almost 360 degress and can rest on the keyboard such that it looks like a tablet. With its touch capability it can act as a standalone tablet PC. It comes with the TRILUMINOS display which we recently saw in Sony’s high end LED TV bravia range with X Reality. For audio it comes with clear Audio+TM, xLoud, Clear Phase and S-Force surround sound. Powered by Intel Core i5 and i7 fourth gen processors and NVIDIA graphics for best experience. The 13 inch variant weighs just 1.31 Kg and the battery lasts up to 7.5 hrs. It comes with USB port which can charge your mobile phones as well even while it is turned off. It also comes with a 8mp rear camera.